For many gay and bisexual men, mobile dating or “hook-up” apps are a regular and important part of their lives. Many of these apps now ask users for HIV status information to create a more open dialogue around sexual health, to reduce the spread of the virus, and to help fight HIV related stigma. Yet, if a user wants to keep their HIV status private from other app users, this can be more challenging than one might first imagine. While most apps provide users with the choice to keep their status undisclosed with some form of “prefer not to say” option, our recent study which we describe in a paper being presented today at the ACM Conference on Computer-Supported Cooperative Work and Social Computing 2018, finds privacy may “unravel” around users who choose this non-disclosure option, which could limit disclosure choice. Privacy unraveling is a theory developed by Peppet in which he suggests people will self-disclose their personal information when it is easy to do so, low-cost, and personally beneficial. Privacy may then unravel around those who keep their information undisclosed, as they are assumed to be “hiding” undesirable information, and are stigmatised and penalised as a consequence. In our study, we explored the online views of Grindr users and found concerns over assumptions developing around HIV non-disclosures. For users who believe themselves to be HIV negative, the personal benefits of disclosing are high and the social costs low. In contrast, for HIV positive users, the personal benefits of disclosing are low, whilst the costs are high due to the stigma that HIV still attracts. As a result, people may assume that those not disclosing possess the low gain, high cost status, and are therefore HIV positive. We developed a series of conceptual designs that utilise Peppet’s proposed limits to privacy unraveling. One of these designs is intended to artificially increase the cost of disclosing an HIV negative status. We suggest time and financial as two resources that could be used to artificially increase disclosure cost. For example, users reporting to be HIV negative could be asked to watch an educational awareness video on HIV prior to disclosing (time), or only those users who had a premium subscription could be permitted to disclose their status (financial). An alternative (or in parallel) approach is to reduce the high cost of disclosing an HIV positive status by designing in mechanisms to reduce social stigma around the condition. For example, all users could be offered the option to sign up to “living stigma-free” which could also appear on their profile to signal others of their pledge. Another design approach is to create uncertainty over whether users are aware of their own status. We suggest profiles disclosing an HIV negative status for more than 6 months be switched automatically to undisclosed unless they report a recent HIV test. This could act as a testing reminder, as well as increasing uncertainty over the reason for non-disclosures. We also suggest increasing uncertainty or ambiguity around HIV status disclosure fields by clustering undisclosed fields together. This may create uncertainty around the particular field the user is concerned about disclosing. Finally, design could be used to cultivate norms around non-disclosures. 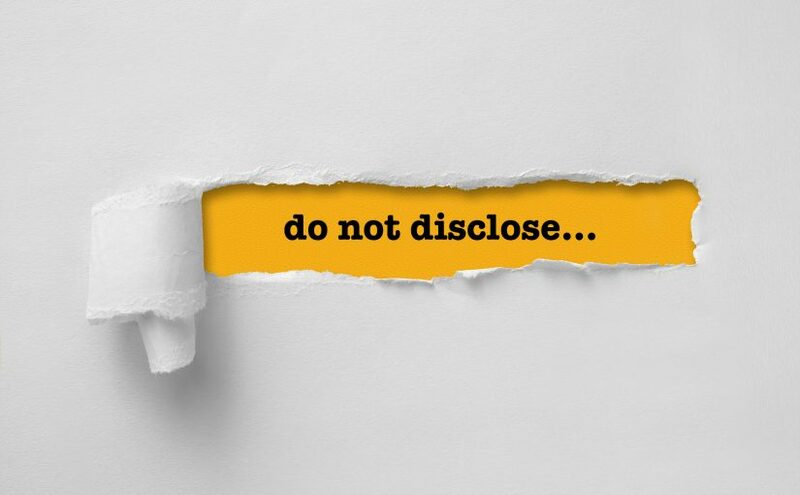 For example, HIV status disclosure could be limited to HIV positive users, with non-disclosures then assumed to be a HIV negative status, rather than HIV positive status. In our paper, we discuss some of the potential benefits and pitfalls of implementing Peppet’s proposed limits in design, and suggest further work needed to better understand the impact privacy unraveling could have in online social environments like these. We explore ways our community could contribute to building systems that reduce its effect in order to promote disclosure choice around this type of sensitive information. The increasing availability of location and mobility data enables a number of applications, e.g., enhanced navigation services and parking, context-based recommendations, or waiting time predictions at restaurants, which have great potential to improve the quality of life in modern cities. However, the large-scale collection of location data also raises privacy concerns, as mobility patterns may reveal sensitive attributes about users, e.g., home and work places, lifestyles, or even political or religious inclinations. Service providers, i.e., companies with access to location data, often use aggregation as a privacy-preserving strategy to release these data to third-parties for various analytics tasks. The idea being that, by grouping together users’ traces, the data no longer contains information to enable inferences about individuals such as the ones mentioned above, while it can be used to obtain useful insights about the crowds. For instance, Waze constructs aggregate traffic models to improve navigation within cities, while Uber provides aggregate data for urban planning purposes. Similarly, CityMapper’s Smart Ride application aims at identifying gaps in transportation networks based on traces and rankings collected by users’ mobile devices, while Telefonica monetizes aggregate location statistics through advertising as part of the Smart Steps project. That’s great, right? Well, our paper, “Knock Knock, Who’s There? Membership Inference on Aggregate Location Data” and published at NDSS 2018, shows that aggregate location time-series can in fact be used to infer information about individual users. In particular, we demonstrate that aggregate locations are prone to a privacy attack, known as membership inference: a malicious entity aims at identifying whether a specific individual contributed her data to the aggregation. We demonstrate the feasibility of this type of privacy attack on a proof-of-concept setting designed for an academic evaluation, and on a real-world setting where we apply membership inference attacks in the context of the Aircloak challenge, the first bounty program for anonymized data re-identification. Our NDSS’18 paper studies membership inference attacks on aggregate location time-series indicating the number of people transiting in a certain area at a given time. 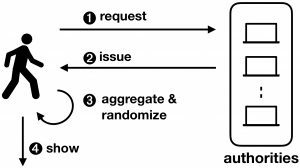 That is, we show that an adversary with some “prior knowledge” about users’ movements is able to train a machine learning classifier and use it to infer the presence of a specific individual’s data in the aggregates. We experiment with different types of prior knowledge. On the one hand, we simulate powerful adversaries that know the real locations for a subset of users in a database during the aggregation period (e.g., telco providers which have location information about their clients), while on the other hand, weaker ones which only know past statistics about user groups (i.e., reproducing a setting of continuous data release). Overall, we find that the adversarial prior knowledge influences significantly the effectiveness of the attack. Zcash is a cryptocurrency whose main feature is a “shielded pool” that is designed to provide strong anonymity guarantees. Indeed, the cryptographic foundations of the shielded pool are based in highly-regarded academic research. The deployed Zcash protocol, however, allows for transactions outside of the shielded pool (which, from an anonymity perspective, are identical to Bitcoin transactions), and it can be easily observed from blockchain data that the majority of transactions do not use the pool. Nevertheless, users of the shielded pool should be able to treat it as their anonymity set when attempting to spend coins in an anonymous fashion. In a recent paper, An Empirical Analysis of Anonymity in Zcash, we (George Kappos, Haaroon Yousaf, Mary Maller, and Sarah Meiklejohn) conducted an empirical analysis of Zcash to further our understanding of its shielded pool and broader ecosystem. Our main finding is that is possible in many cases to identify the activity of founders and miners using the shielded pool (who are required by the consensus rules to put all newly generated coins into it). The implication for anonymity is that this activity can be excluded from any attempt to track coins as they move through the pool, which acts to significantly shrink the effective anonymity set for regular users. We have disclosed all our findings to the developers of Zcash, who have written their own blog post about this research. This work will be presented at the upcoming USENIX Security Symposium. In Bitcoin, the sender(s) and receiver(s) in a transaction are publicly revealed on the blockchain. As with Bitcoin, Zcash has transparent addresses (t-addresses) but gives users the option to hide the details of their transactions using private addresses (z-addresses). Private transactions are conducted using the shielded pool and allow users to spend coins without revealing the amount and the sender or receiver. This is possible due to the use of zero-knowledge proofs. Like Bitcoin, new coins are created in public “coingen” transactions within new blocks, which reward the miners of those blocks. In Zcash, a percentage of the newly minted coins are also sent to the founders (a predetermined list of Zcash addresses owned by the developers and embedded into the protocol). In 2014, Harvard professor and geneticist George Church said: “‘Preserving your genetic material indefinitely’ is an interesting claim. The record for storage of non-living DNA is now 700,000 years (as DNA bits, not electronic bits). So, ironically, the best way to preserve your electronic bitcoins/blockchains might be to convert them into DNA”. In early February 2018, Nebula Genomics, a blockchain-enabled genomic data sharing and analysis platform, co-founded by George Church, was launched. And they are not alone on the market. The common factor between all of them is that they want to give the power back to the user. 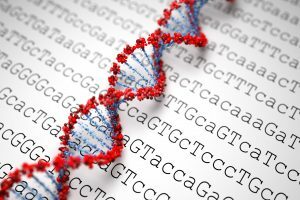 By leveraging the fact that most companies that currently offer direct-to-consumer genetic testing sell data collected from their customers to pharmaceutical and biotech companies for research purposes, they want to be the next Uber or Airbnb, with some even claiming to create the Alibaba for life data using the next-generation artificial intelligence and blockchain technologies. Its launch is motivated by the need of increasing genomic data sharing for research purposes, as well as reducing the costs of sequencing on the client side. The Nebula model aims to eliminate personal genomics companies as the middle-man between the customer and the pharmaceutical companies. This way, data owners can acquire their personal genomic data from Nebula sequencing facilities or other sources, join the Nebula network and connect directly with the buyers. This project aims to ensure that genomic data from as many people as possible will be openly available to stimulate new research and development in the genomics industry. The founders of the project believe that if we do not provide open access to genomic data and information exchange, we are at risk of ending up with thousands of isolated, privately stored collections of genomic data (from pharmaceutical companies, genomic corporations, and scientific centers), but each of these separate databases will not contain sufficient data to enable breakthrough discoveries. Their claims are not as ambitious as Nebula, focusing more on the customer profiting from selling their own DNA data rather than other sequencing companies. Their whitepaper even highlights that no valid solutions currently exist for the public use of genomic information while maintain individual privacy and that encryption is used when necessary. 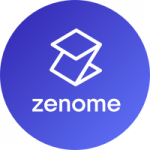 When buying ZNA tokens (the cryptocurrency associated with Zenome), one has to follow a Know-Your-Customer procedure and upload their ID/Passport.